Pix4D Desktop: This version is meant for production work. 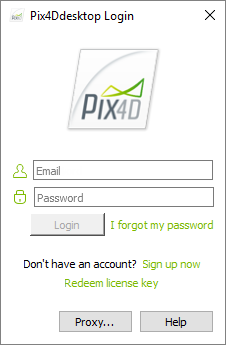 Pix4D Desktop Preview: This version contains the newest features, but is not meant for production work. Download Pix4D Desktop or Pix4D Desktop Preview. 1. Double-click the downloaded file. 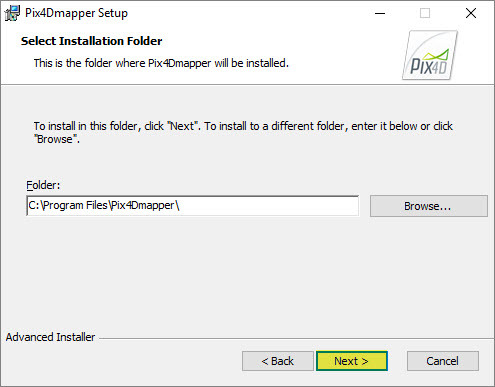 The Pix4Dmapper Setup wizard starts. 2. (optional) If the pop-up Open file - Security Warning appears, click Run. 3. 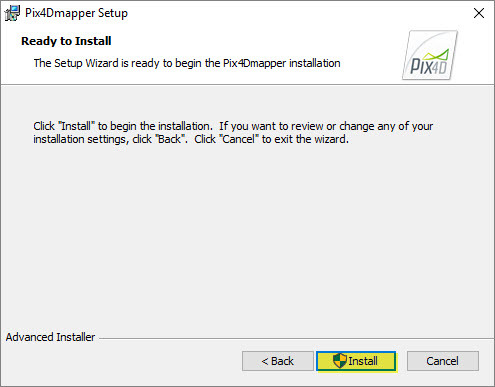 In the pop-up Pix4Dmapper Setup, in the screen Welcome to the Pix4Dmapper Setup Wizard, click Next >. 4. (optional) Click Browse... to change the destination path for the installation and click Next >. 6. (optional) In the software information window: "Do you want to allow the following program to install software on this computer? ", click Yes. 8. A shortcut is created on your desktop and the software opens automatically once the installation is completed. 10. Type the Email and Password of the account and click Login. 11. Read the End-User License Agreement, select I accept the terms in the License Agreement and click Next. 12.1 Request Pix4Dmapper now (free trial) to activate a 15-day trial. 12.2 Use Pix4Ddiscovery to activate the limited version. 12.3 Available licenses to select among existing licenses on the account. Pix4D Desktop is now ready for processing. 4. Select the user interface language from the drop-down list. The changes will take effect when the software is restarted. The newest Pix4D Desktop and Pix4D Desktop Preview versions are always available for download as described in section Download. 1. Download and Install Now to download and install the latest version available. 2. Remind Me Later to not download or install the latest version. The pop-up will appear again in 10 days. 3. Cancel to not download or install the latest version. No reminder will appear. 1. Log out of Pix4D Desktop. 2. Go to your License Management panel. 4. Log in Pix4D Desktop. This will automatically register the device on the License page. Desktop Icon loses path after a month and I have to remove and reload the program. 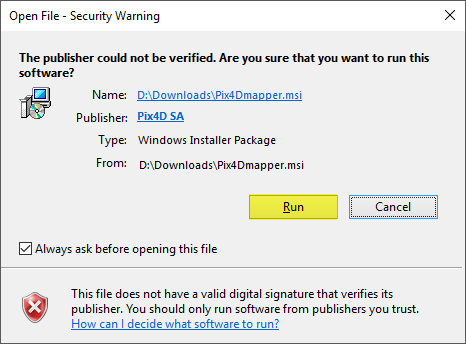 Could you please upgrade to the latest graphics card driver and, if the issue remains, completely uninstall Pix4Dmapper Desktop.